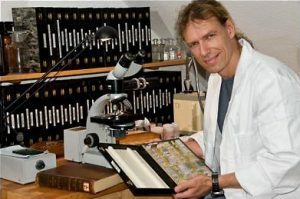 1991-1997 Studies in Biology at the University of Ulm, Germany. Main subjects: General Zoology and General Botany, Entomology, Terrestrial Ecology and Ecology of the Tropics.. Subjects: General Zoology and General Botany, Ecology and Chemistry. Title of the diploma thesis: Thrips communities of forests and orchards in Southern Germany (Insecta, Thysanoptera). 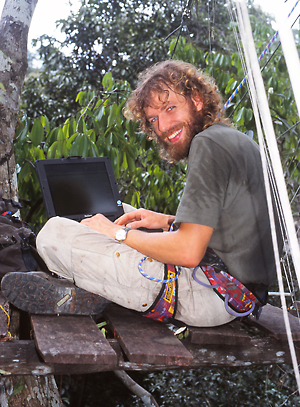 1999 PhD at the University of Ulm, Germany. 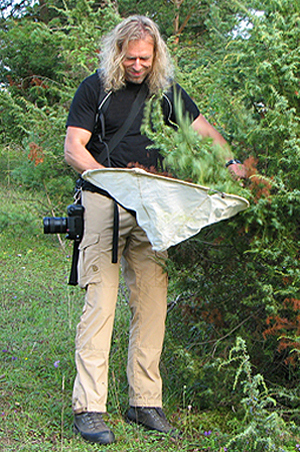 Title of the doctoral thesis:Thrips communities of forests in Germany (Insecta, Thysanoptera). For many years I have been studying the tiny insects of the order Thysanoptera. Numerous projects in Europe and in the tropical part of South America, as well as an extensive collection have resulted from my enthusiasm. Unfortunately, current research structures hardly allow studies in classical fields of biology. For this reason I have been unable to find regular work related to Thysanoptera. In 2006 I completed my skills with a pedagogical training and now I work as a high school teacher for biology and chemistry at the Freie Waldorfschule Offenburg. With dedication I try to call attention to little things, which are essential for the general context. Little things like thrips. Thank you for your interest in these pages!